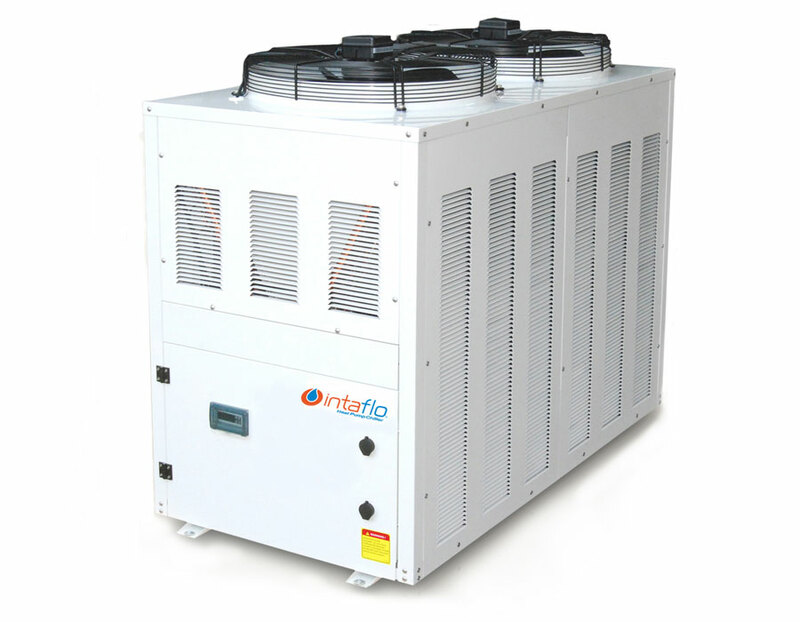 The Intaflo, air to water, 35kW heat pump is suitable for all hydronic heating and cooling systems. Robust and suitable for large areas the Intaflo heat pump can operate in low ambient conditions(-15°C) and give high COP in normal working conditions. The “V” coil construction gives a compact footprint, excellent airflow and heat transfer. Packaged systems includes heat pump control, pump and heat exchange.